Canadian automotive supplier Magna International continued its push into the autonomous vehicle segment by partnering this week with Israel-based startup Innoviz Technologies. The two companies plan to deliver lidar remote sensing solutions to the development of self-driving vehicles. Lidar, short for “light detection and ranging,” is a remote sensing method that uses light in the form of a pulsed laser to measure distance and range. “The integration of LiDAR into driving systems is pivotal to enabling full autonomy and in ensuring a comprehensive sensing solution that satisfies the highest safety standards,” Innoviz founder and CEO Omer Keilaf said in a statement. 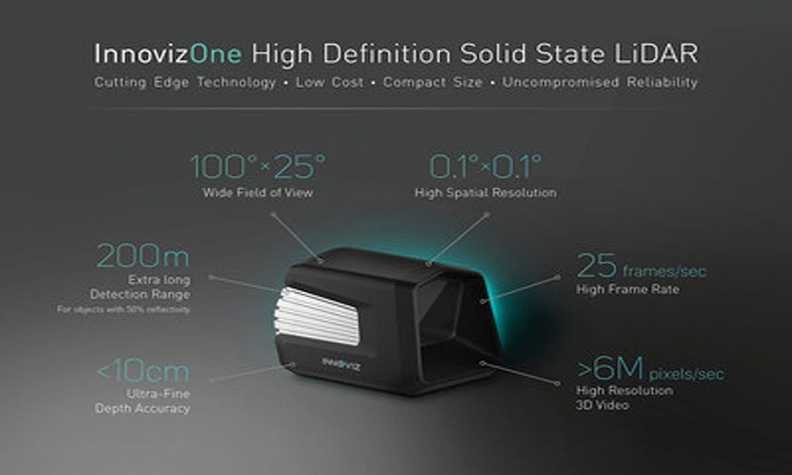 Magna says Innoviz’s unique hardware and innovative software offers a lidar solution that enables 3-D remote sensing to produce accurate real-time images of the vehicle’s surroundings while meeting automotive standards and significantly reducing cost. Innoviz lidar can be seamlessly integrated into any vehicle and can manage changing light and weather conditions, Magna said. “This gives Magna a full suite of sensing systems -- camera, ultrasonic, RADAR fusion, and LiDAR -- to complement our autonomous vehicle capability,” Magna Chief Technology Officer Swamy Kotagiri said in a statement. The Innoviz partnership is just the latest stake Magna has taken in the autonomous vehicle segment. It’s also invests in Peloton Technology, a U.S. company developing vehicle-to-vehicle technology that would improve the fuel efficiency of commercial trucks. Magna, known for supplying a wide variety of auto parts from stampings to seating, also plans to use holograms to demonstrate its future mobility capabilities during the CES technology expo in Las Vegas in January. Earlier this year, Magna also joined the race to develop “smart” auto seats that can monitor a driver’s heart rate to determine whether he or she is getting drowsy. Sensors embedded in the cushion and backrest would gather biometric data without the need for body electrodes. The company says such technology will also be required in autonomous vehicles to make sure drivers are ready to regain control at the wheel when necessary.